"I just wanted to thank you for all the great work you did with my web site. I have had a lot of positive feedback from clients about it's set up, lay out and overall look. I also wanted to thank for being flexible and patient with my requests. The site turned out exactly how I imagined and the end result was exactly perfect! I will be recommending you to all my friends! " "I cannot thank Scott from East Coast Web enough for the amazing work he did on our website! His design of our site really embodies what The Stanley is all about. The feedback we have had from our customers is incredible and our business, particularly the accommodation, has certainly increased because of his intelligent and creative design. I highly recommend ECW to anyone looking for a great website that is effective and works." "I found working with Scott and East Coast Web to be a thoroughly enjoyable experience. Not only did I have a personalised web design published online within a few days but everything that I wanted on my site was included in the design and specific to my needs. My site looks great! Scott's artistic flair and knowledge of web design is outstanding. 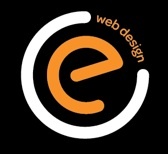 East Coast Web provide a very professional and efficient service at a price that is affordable for all small business. East Coast Web offers limitless potential to any business because of the intelligence and business acumen that Scott has. I would recommend East Coast Web to anyone trying to branch out into the online world." "I love my website !! Scott from East Coast Web Design was fantastic - and very perceptive. He took the time to listen to what I wanted while making experienced suggestions on what was essential. I was extremely impressed by the short period of time it took to get the website on line and couldn’t be happier with the end result." Scott's background in graphic design shines through on my website. I personally like the design matching my business cards. He has used his photographic professionalism in taking great photos for my site. Clients are impressed with my site and the google analytics are showing successful results. I have and intend to continue to promote East Coast Web Design to other businesses. I’ve now been using Scott at East Coast as my web designer for over 18months, and couldn’t be happier. I’ve used other companies in the past, but certainly wouldn’t have offered to write them a testimonial. Scott is professional yet approachable. I had a very distinct idea of what I wanted with my website and after a brief chat with Scott, it was done, no fuss, no dramas, no waiting. I get lots of compliments on my site and would highly recommend East Coast Web Design. Not knowing entirely what we wanted for our web presence we relied on Scott from East Coast Web Design quite heavily to guide us through all the stages of web design from the photography for the pages to the content and actual layout/design of the site. We found Scott very professional and knowledgeable in his trade but still very easy going, patient and fun to work with. We at Bare Essentials would highly recommend Scott & East Coast Web Design.